Do you find yourself attracted to a more old-fashioned, vintage vibe? 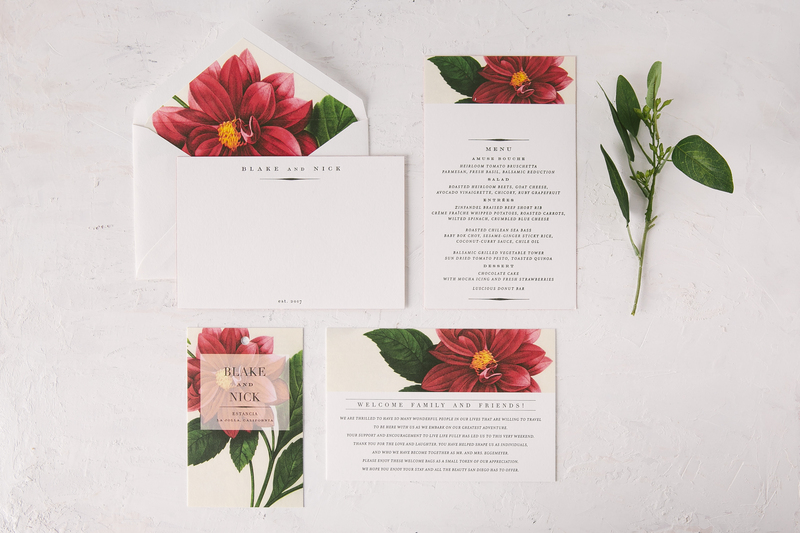 This timeless stationery below features a gorgeous red floral adorning the cards with traditional fonts surrounding the botanical imagery. 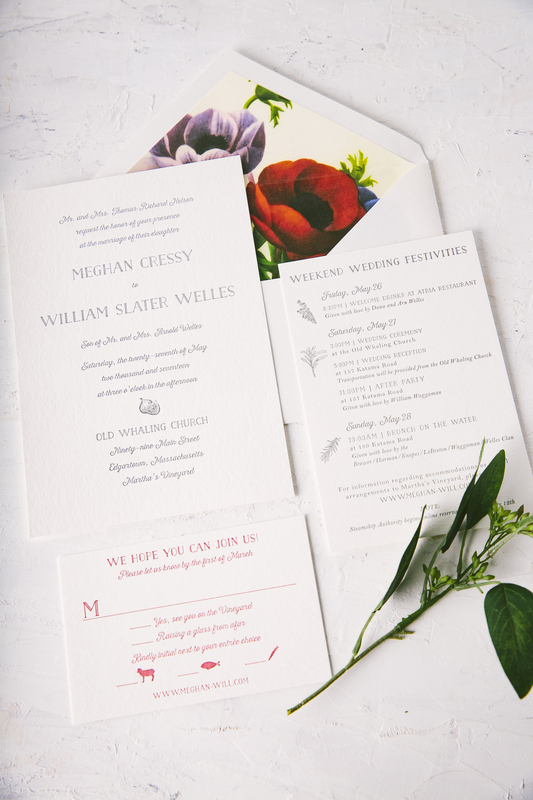 There’s something about the combination of crisp black letterpress type and bright red that we can’t ever get enough of. 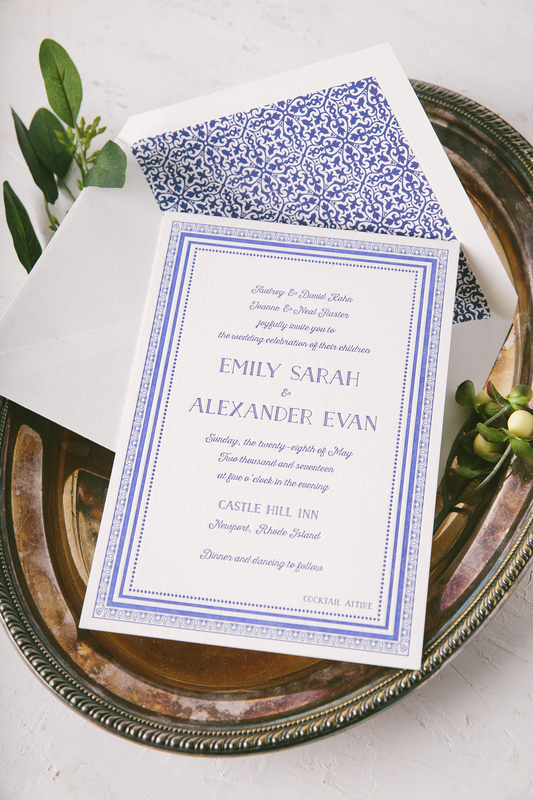 Searching for an invitation that’s equally as down to earth as your relationship? Look no further! 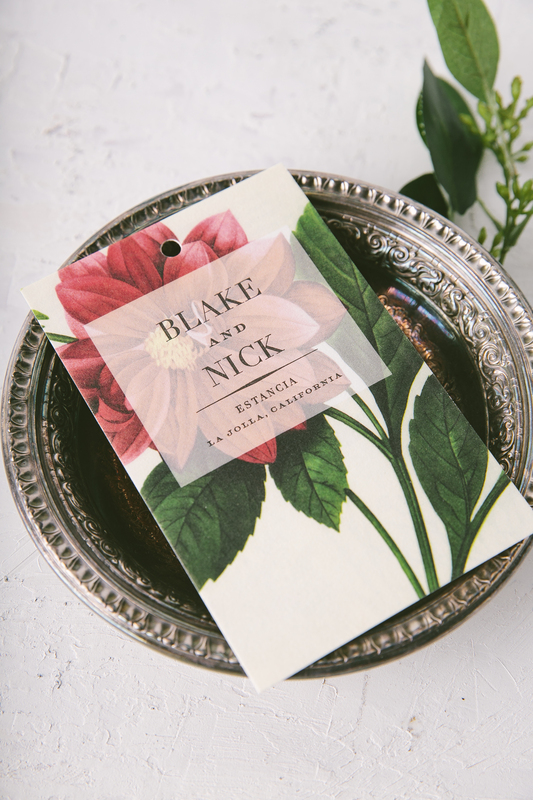 This customization printed in our Pewter and Cardinal letterpress inks set the tone for a more casual affair in the summer months, while still adding a touch of elegance with the addition of a floral print envelope liner. 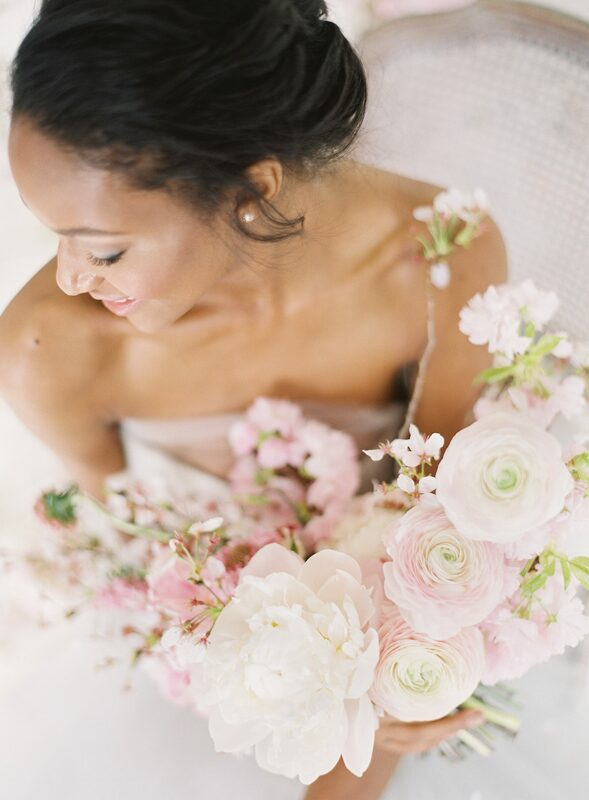 If it’s a pop of color that pulls on your heartstrings most, the customization below is calling your name. 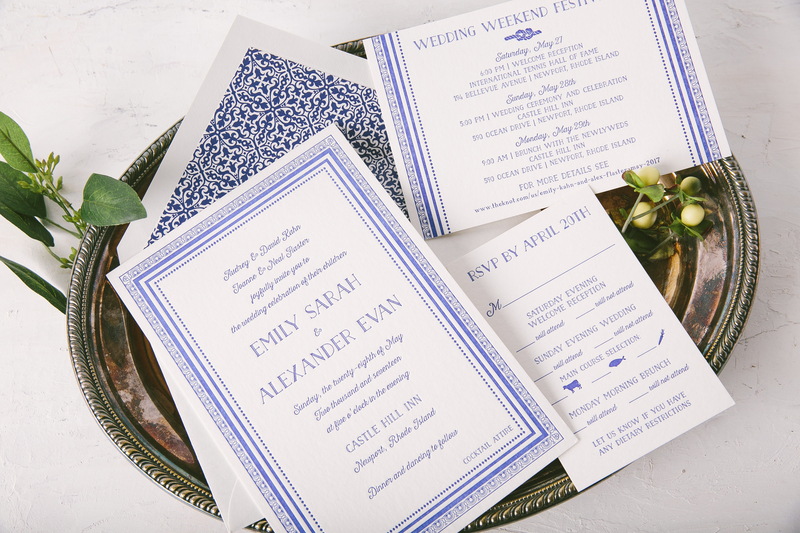 Our eye-catching Azure letterpress ink is the perfect fit for a wedding with a touch of modern flair. 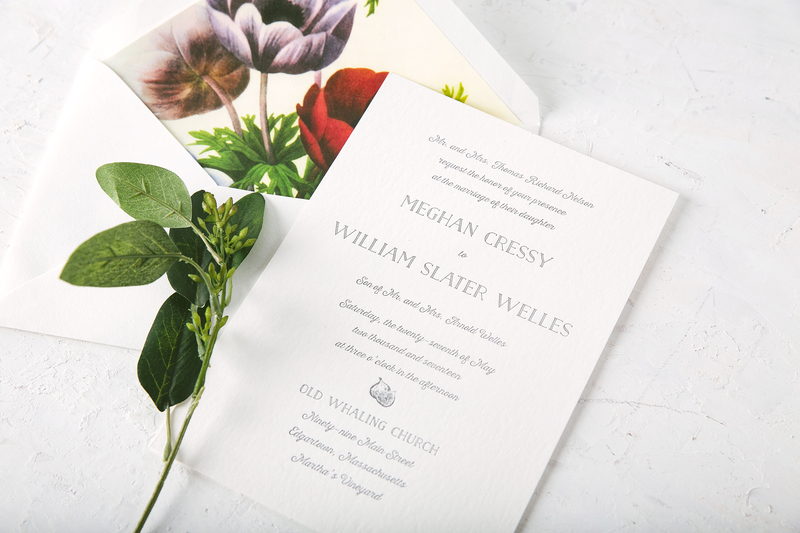 The contrasting patterns found on the border of the invitation, as well as envelope liner, play off each other perfectly.